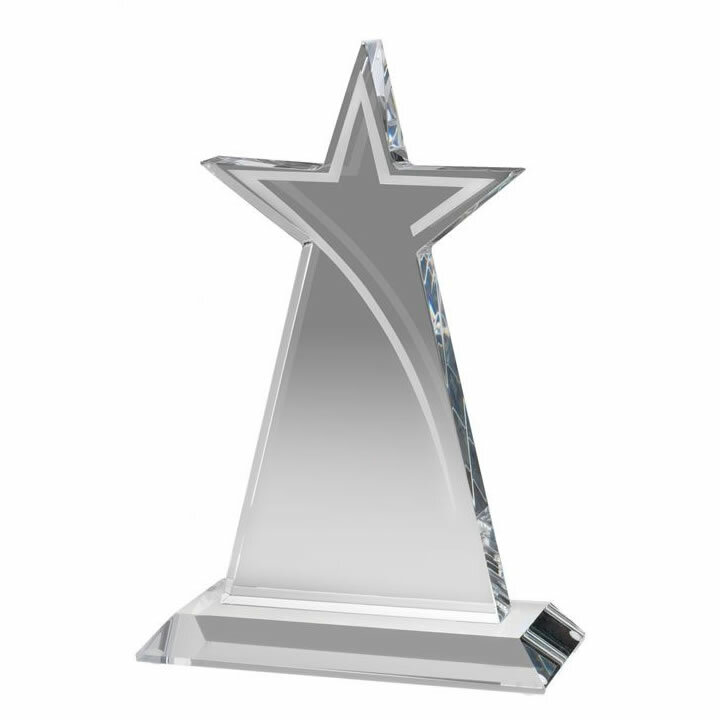 A striking crystal award featuring a star design with a dynamic swoosh detail on the front. These freestanding clear glass awards are 7.25in in height and can be engraved on the flat front. They are supplied complete with a fitted presentation case.